now is the time to plan your next career move. From an employment perspective, 2018 is slated as the year Brexit will make its presence known in Ireland. This will present both opportunities and challenges for Chartered Accountants, and has the potential to impact on most strands of employment in Ireland. It is important that Chartered Accountants working in Brexit-impacted sectors begin to optimise their career prospects if they haven’t already done so. There will be winners and losers in this shakeout and as a Chartered Accountant, it is imperative that you are employed by a company which is on the front foot in dealing with the associated challenges. Chartered Accountants working in export-led sectors in industry that have historically relied heavily on the UK market should be cognisant of the potential negative impact of Brexit on their employer’s business. They should also consider whether adequate contingency plans are in place. Irish companies in the FMCG and agri-food sectors are likely to be among those most negatively impacted. Most companies in this space have fully formed Brexit contingency plans and are now in implementation mode. 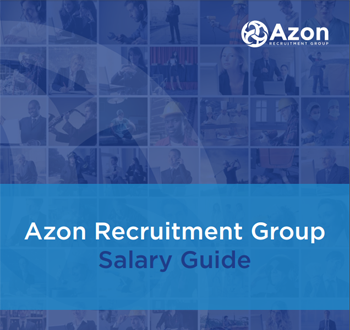 Since mid-2017, Azon has recruited on behalf of a number of construction companies that are shifting their focus away from the UK and towards projects in newer markets in Northern Europe as a hedge against the possible fallout from Brexit. In their own best interests, Chartered Accountants working within export-led sectors should align themselves with companies primed to deal with Brexit challenges. The financial services sector is expected to benefit from Brexit movers who wish to remain in the single market post-Brexit. Throughout 2017, AES International has conducted several talent scoping assignments for potential Brexit movers. In addition to those already announced, we expect a number of additional firms to announce their intention to establish or expand operations in Ireland. We expect many of these jobs to come on stream in the first three months of 2018 with strong demand for executives with cross-jurisdictional experience in finance, risk or controlled function roles, as defined by the Central Bank of Ireland, as well as select revenue-generating and infrastructure functions. As this will be the first foray into Ireland for a number of organisations, the credibility of the ACA/FCA qualification will hold a lot of weight in their assessment of talent pools as Brexit movers will want their investment to be protected by the professional qualifications of the people they appoint to management positions. Third level education (leadership courses, for example) paid for. Bi-annual flights to return to the executive’s home country for the immediate family. For those financial services professionals who are among the 7,000 Irish-qualified Chartered Accountants based overseas, now might be a good time to consider returning to Ireland. Adequate plans should be put in place to optimise employment options in Ireland and the first port of call should be one’s current employer, as the leadership team may be considering Ireland as a potential post-Brexit location. Chartered Accountants currently working within a financial services institution will already be aligned to the company’s culture. The risk to an employer of selecting that employee to work in the soon-to-be-established Irish operation will therefore be greatly diminished. As a known entity, an employer will have a view on an employee’s technical competence and suitability for a role in any new Ireland based operation. Given the potential sensitivities to impacted employees, Brexit planning may not be openly discussed. However, that doesn’t mean it isn’t being planned for. Chartered Accountants should engage with senior management to see what internal mobility opportunities involving Ireland might arise as a result of Brexit. If no avenues are open internally, those Chartered Accountants who plan to return to Ireland should reconnect with former colleagues, professional contacts and friends in Ireland to make their intentions known. Establishing relationships with executive search and other recruitment firms likely to be engaged by Brexit movers is also recommended. Chartered Accountants based in UK for a number of years will likely have established firm roots and may not be in a position to relocate back to Ireland. However, an increasingly popular option is to work in Ireland during the week, Monday to Thursday or Friday, and commute back to the UK for the weekends. During the global financial crisis, many UK-based professionals commuted to Ireland while Irish based financial services professionals commuted in the opposite direction to the UK while managing to maintain an adequate work-life balance. AES International recently conducted a Brexit Impact on Financial Services survey that sought the views of over 500 senior executives working within financial services in Ireland. From a national perspective, respondents expect that the benefits of Brexit will be predominantly confined to Dublin, with 87% of respondents expecting that regional locations outside Dublin will not see significant advantages from Brexit. Chartered Accountants planning to return to Ireland should bear this in mind. As expected, net remuneration was the main priority, while access to airports ranked as the second most important, coming in ahead of access to schools, cost of living and housing. Brexit is happening, and it will have a material impact on the business landscape in Ireland. With it will come both opportunities and challenges. Chartered Accountants who want to work in Ireland will need to plan ahead to optimise career opportunities and be Brexit ready. Get in touch to begin your latest career journey now. 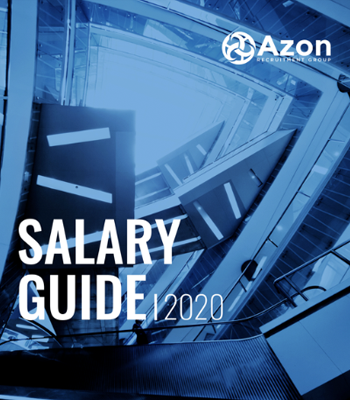 Get our Salary Guide now!